What ARE these Moogles you crazy people keep talking about? Why Mognet and Moogles? This site has nothing to do with Final Fantasy. I really really want (insert song/whatever name here) translated, but it's not on your site. What do I do? Can I join your group? I want to be a cool moogle too! Can I use your translations on my site/for this project that I want to subtitle? Will you join/do a joint with my fansub group? OH MY GOD YOU GOT (insert thing here) WRONG! HOW DARE YOU! Can you help me with this burning sensation/song list/random question? What's this I hear about the Ulfuls being the official band of Mognet? 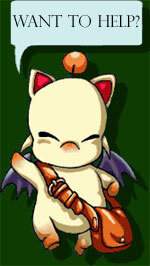 Moogles are the fuzzy little helpers in the Final Fantasy series of video games, published by Squaresoft. The most memorable of those are from Final Fantasy 6 (3 in the US) where Mog was a playable character, and Final Fantasy 9 where Moogles played an interesting part as interactive save points, and helpers. You are correct, sir! 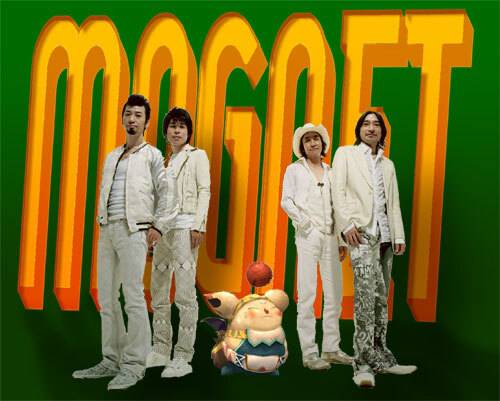 But we at Mognet are very big Final Fantasy fans, especially the moogles. We feel that a tribute is in order, but since we just couldn't live with ourselves if we made a fansite, we combine our loves of video games and Japanese studies. Not in THAT way!! You're sick. For seven years we accomodated thousands of song requests and had weekly updates of new requested translations. Due to lifestyle changes by the staff and a decision of what is best for future Mognet content, we have decided to discontinue all request services. For a more detailed explanation, visit this thread in our forum. We appreciate you supporting Mognet's translation efforts and we hope you enjoy our large back catalog of translations. Hopefully you can find something you're looking for! and let us know your intentions, and especially your experience in translating and the Japanese language, timing, typesetting, or whatever it is you do! Tell us a little about yourself, too. We guarantee a three sentence email that goes something like "I want to be a member. I'm cool. I study Japanese" will NOT be accepted. It would really help if you had examples of your work ready. Please don't send us already translated songs and ask us to post them, either. Every translation at Mognet has been approved by each member before publication. We don't accept third party translations. However, if you just want us to check your work on something, we'll do our best (please include the original kanji)! For listings of currently needed staff check our "Can I Help?" section. If you want to use our lyrics/translations to put up on a website or blog, you may do so. However, Mognet MUST be credited, and it would be great if you could link to our website as well! However if you are asking about using our lyrics/translations for a PV, TV show, or any sort of subtitling project of your own, then please do not use our lyrics. This is a conflict of interest to us, so hopefully you understand! If you don't feel as though your request fits clearly into one of these two situations, please feel free to contact us and explain your situation specifically. We have a lot to take care of here. Mostly any joints we accept with groups we're already pretty good friends with. Nevertheless, if you have a proposition, feel free to email us (requests@mognet.net) and we can discuss things with you. I guarantee that we don't take well to people coming on IRC and harassing the people there, and if you do so you probably won't get our cooperation. So keep that in mind. Um, yeah. It is possible, we're only human you know! If you see mistakes in our translation or anything and you just can't live with yourself unless you let us know, feel free to email requests@mognet.net. Even better, join up and help us out! The less we have on our plates at once the better Mognet gets! Only YOU can prevent forest fires, and make Mognet great! Maybe. Although that burning sensation you should probably get a cream for, or something. Anything else though, go ahead and email us and we'll see what we can do. Well they're our favorite, that's why! There's a lot of great bands out there, but if most of us had to pick a favorite it would be them. WE LOVE YOU ULFULS!!!! 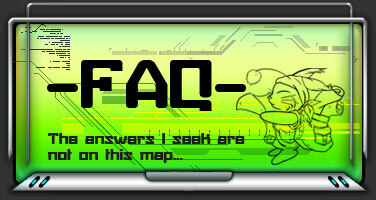 If you have any further burning questions, feel free to message an op in the #mognet channel on irc.rizon.net, or email us at requests@mognet.net.